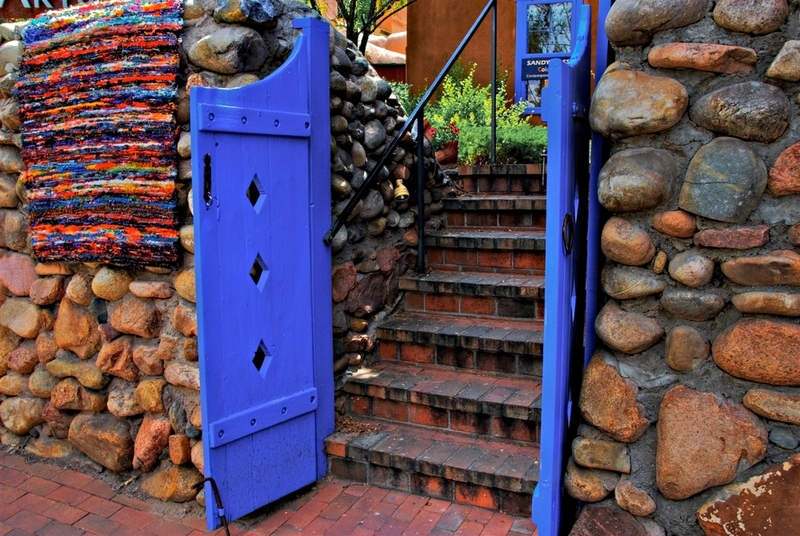 Canyon Road in Santa Fe, NM is full of art studios. Every single thing on the road is an art studio. It's pretty cool, though after a while your brain gets "gallery overload" and you have trouble telling the difference between modern art and prehistoric etchings. Anyways, prior to losing my mind there, I came across this studio which had this awesome blue gate. Something about doors and entrances really gets to me. Perhaps it is just the symbolic entry into something new, but whatever it is, I like them.